It’s Seafood Week this week and Holmach has thermal processing equipment that will help you maintain the delicate texture and flavour of your seafood, whether that’s in a seafood mornay ready-meal, extending the shelf-life of fresh oysters, or creating an intensely flavoured and beautifully smooth crab chowder. Lagarde Autoclaves are retorting specialists and one of the major players in the cooking of ready meals, in the UK market, however, they can be used in many more applications. 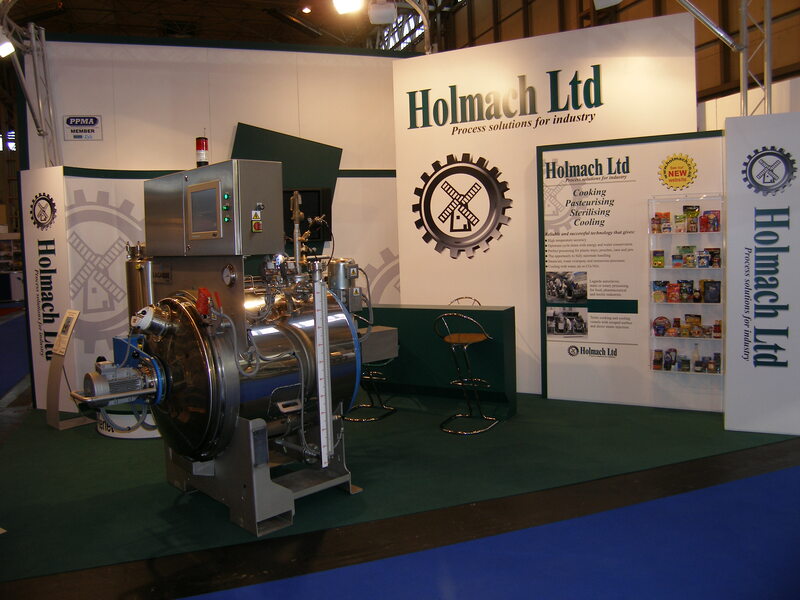 One of Holmach’s most interesting seafood projects using Lagarde retorting technology is with a long established seafood company in North East Scotland. The fresh crayfish, which is caught in local waters, is pasteurised in the autoclave, before being shipped off to our European cousins. Another way of preserving the shelf-life of delicate shellfish is High Pressure Processing. UHDE’s HPP technology uses pressure over heat to gently ‘pasteurise’ delicate items that need to retain their colour, texture and taste. The products remain raw, but free of spoiling micro-organisms. The pressure can increase the product yield by almost 50% and will detach it from the shell, perfect for items like oysters. Crustacean based bisques and chowders are a long, slow process, if you want to get the full intensity of flavour from the shellfish, as any chef will tell you. The process involves roasting the shells for a stock, which can take many hours to get the right depth of flavour. Roboqbo’s cook-cut-cool vessels can grind the roasted shells down to a fine ‘sand’, getting the maximum flavour from the shell, and with pressurised cooking, an intensified stock is created in minutes. Once filtered, the other ingredients can be added to make a creamy chowder or tomato based bisque that can be perfectly chunky or velvety smooth, as desired.